Fashion Friends!! It’s the FALL 2018 edition of this fabulous event!! 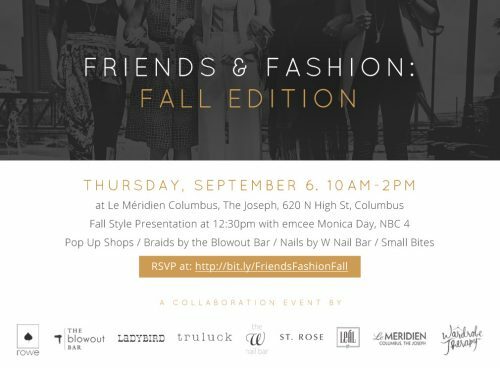 We are again partnering with other many fabulous fashion and otherwise, (Rowe, Ladybird, Leal, truluck, The Blowout Bar,The W Nail Bar , St.Rose and Le Meridien) AND Dress for Success will be present sharing information on their organization all on an morning/afternoon of everything Fashion! Ladies, bring your girlfriends, moms, sisters, and daughters and Guys.. stop over for some bites and shop for the special someone in your life! We are doing a Fall Fashion Presentation at 12:30. Please RSVP through this link and to learn more!